Blog | JamaicaJamaica | A paradise island in the sun! mek piiple av nof rispek fi yu an yu niem. 10. Mek di taim kom wen yu ruul inna evri wie. Mek we yu waahn apm pan ort apm, jos laik ou a wa yu waahn fi apm iina evn apm. 11. Tide gi we di fuud we we niid. Mek people have nuff respect fi yuh and yuh name. 10. Mek the time come when yuh rule inna every way. Mek whe yuh want happen upon earth happen, jus like how a what yuh want fi happen inna heave happen. 11. Today give we the food whe we need. 12. Pardon wi fi all a the wrong whe we do, same like how we pardon them whe do we wrong. 13. And nuh mek we face nothing whe will cause we fi sin, but protect we from the wicked one. ‘Faada, mek piipl av nof rispek fi yu an yu niem. Mek di taim kom wen yu ruul iina evri wie. 3. Evridie gi wi di fuud we wi niid. ‘Father, mek people have nuff respect fi yuh and yuh name. Mek the time come when yuh rule inna every way. 3. Everyday give we the food whe we need. The Beatitudes are eight blessings spoken by Jesus in the Sermon on the Mount. 3. Aal a unu we nuo se unu niid Gad iina evri wie, Gad bles unu, kaa di gud sitn dem we Gad gi wen im ruul piipl laif iina evri wie, a unu a-go get dem. 4. Aal a uu a baal nou, Gad bles dem kaaz di taim a-go kom wen Gad a-go osh dem an mek dem api agen. 5. Aal a uu ombl demself, Gad bles dem, kaa yu si di ort, a dem piipl de a-go kom get it. 6 Uu waahn du wa rait iina Gad yai so bad, dat it komiin laik se a ded dem a ded fi onggri an dem chuot jrai laik se dem no jringk waata ou lang, Gad bles unu kaa unu a-go get unu beli ful. 7. Unu we paadn piipl, Gad bles unu, kaaz im a-go paadn unu tu. 8. Aal a uu onggl waahn fi du di sitn dem we mek Gad api, Gad bles unu kaaz wan die, wan die, unu a-go get fi si Gad. 9. Gad ble aal a uu elp piipl fi liv iina piis, kaaz a piiple laik dem de Gad a-go kaal fi im pikni dem. 10. Di piipl dem we ada piipl mek sofa jos kaaz dem liv ou Gad waahn piipl fi liv, Gad bles unu kaa di gud sitn dem we Gad gi wen im ron piip laif ou im waahn ron it, a dem sitn de unu a-go get. 11. Gad bles unu wen piipl shiem unu, wen dem mek unu sofa an wen dem se aal kai-a wikid sitn bout unu we no chuu – bot se it jos kaaz unu fala mi. 12. Mek unuself api wen dem sitn de apm tu unu; jomp op an dong wid jai iina unu aat, kaa nof gud sitn pudong iina evn fi unu. A siem so dem yuus to chriit Gad prafit dem we did de ya befuo unu kom. 3. All a unu whe know sey unu need God inna every way, God bless unu, cause the good something them whe God give when ‘im rule people life inna every way, a unu going to get them. 4. All a who a bawl now, God bless them cause the time is going to come when God is going to hush* them and mek them happy again. 5. 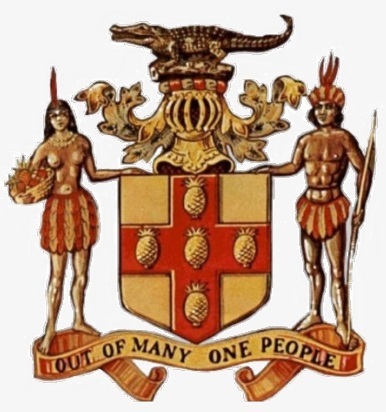 All a who humble themselves, God bless them, cause yuh see the earth, a them people deh a come get it. 6. Who want duh what’s right in God’s eye so bad, that it come in like sey a dead them a dead fi hungry and them throat dry like sey them no drink water how long, God bless unu cause unu is going to get unu belly full. 7. Unu whe pardon people, God bless unu, cause ‘im is going to pardon unu too. 8. All of who only want to do the something them whe mek God happy, God bless unu cause one day, one day, unu is going to get fi see God. 9. God bless all a who help people fi live inna peace, cause a people like them there God is going to call fi ‘im pickni them. 10. The people them whe other people mek suffer just cause them live how God want people fi live, God bless unu cause the good something them whe God give when im run people life how ‘im want run it, a them something them unu is going to get. 11. God bless unu when people shame unu, when them mek unu suffer and when them sey all kind of wicked something about unu, whe no true – but say it just ’cause unu follow me. 12. Mek unuself happy when them something there happen to unu; jump up and down with joy inna unu heart, cause nuff good something put down inna heaven fi unu. A same so them use to treat God prophet them whe did de ya before unu come. * Hush means “don’t worry” or “to comfort” in Jamaican patois. The red-billed streamertail or red-billed streamertail hummingbird (Trochilus polytmus) is indigenous to our island and it is the national bird of Jamaica. This bird is the most abundant and widespread member of the hummingbird family in Jamaica, and it is also known as the Doctor Bird, Streamertail, Swallow-streamertail, Scissor-tail or Scissors tail Hummingbird, Western Streamertail, and Longtail Hummingbird. The Tainos – the first inhabitants of Jamaica, who used bird feathers in their ceremonial head-dress and body decorations, also called the red-billed streamertail the ‘God Bird’, because they considered it to be the reincarnation of dead souls. Fifteen photos taken from Stéphane Damour’s album of his 2015 visit to Jamaica.